Ground — P5.4 (AGND) Note: This is an audio ground and is required for MMDVM. DGND will not work. COS — Leave disconnected. 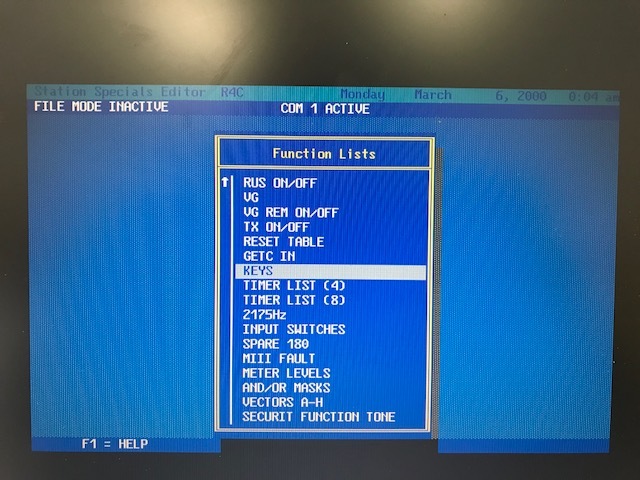 If you connect this your COS going active will disable the MMDVM output. 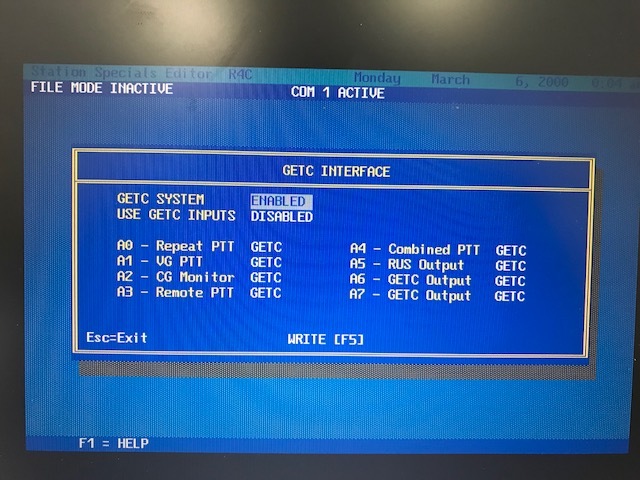 Go into GETC INTERFACE and set GETC SYSTEM=ENABLED. The other options can remain default. Hit F5 to write the changes to the station. 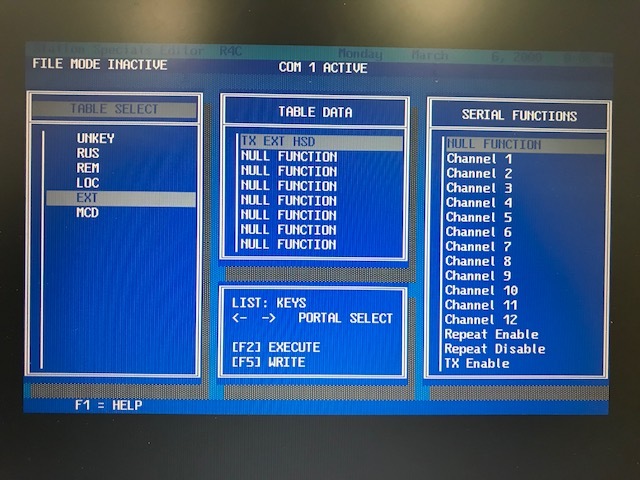 Build a logic truth table beginning with “UNKEY” and set the table data as shown in this photo. (Note: EXT LSD is optioned here because we are using a 7330 controller for analog and it feeds CG into the EXT LSD input. 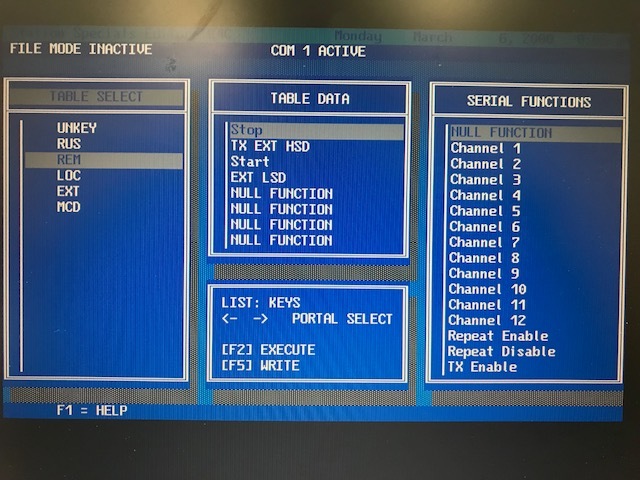 If you aren’t using an external controller you may leave Stop>EXT LSD out.) Hit F5 to write the config to the station. 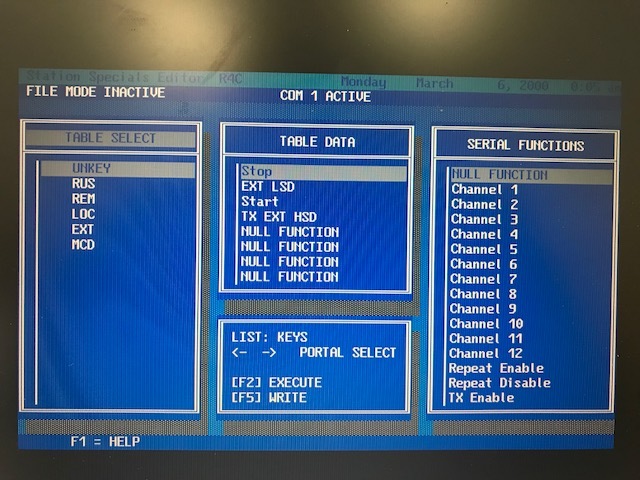 If using a 7330 controller, build the REM table data as shown. If not, you may leave out the Start>EXT LSD entries. If using the internal repeat function for analog, then use the RUS table to define Stop>TX EXT HSD. Hit F5 to write the config to the station. 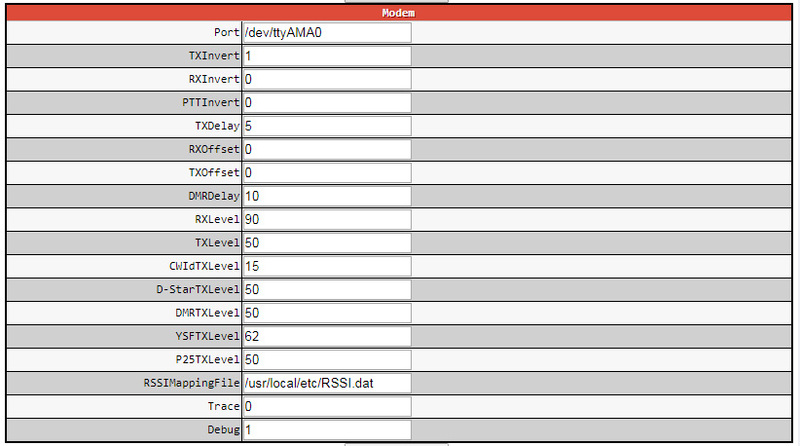 Build the table data for LOC as shown. Hit F5 to write the config. The EXT table may not be necessary if you aren’t using the EXT_PTT for anything. Note: If you write a new or updated station personality you may have to reprogram these parameters in MSEDIT. 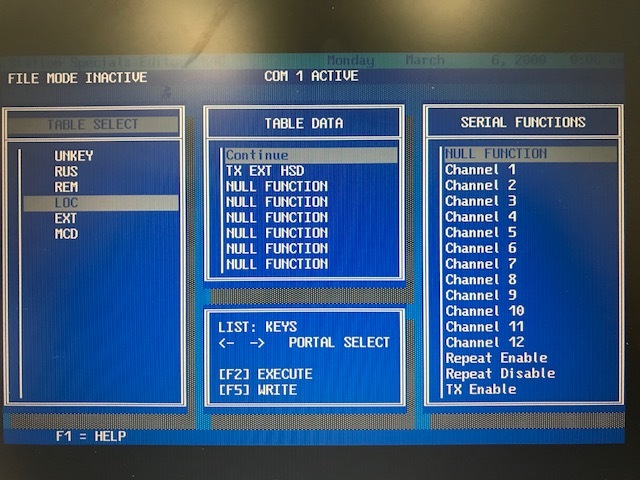 A screenshot of the Pi-Star MMDVMHost parameters on a working config.